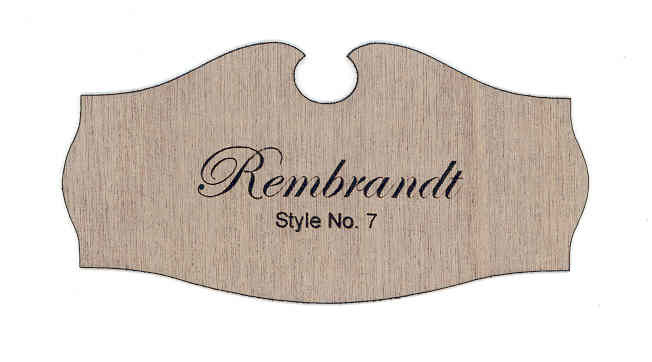 The example shown on this page (click photo above to see larger image) shows how Art Name Plate Style #5 appears in our Smooth Black, .004" thin material with gold lettering. The standard font used for engraving Style #5 is Times New Roman. Use the easy, drop-down selection menus (below) to choose the options you want for your customized Art Name Plate and type in the text you'd like to be engraved. It's just that easy! § Note: Quantity discounts are available for identical nameplates. Please CALL.